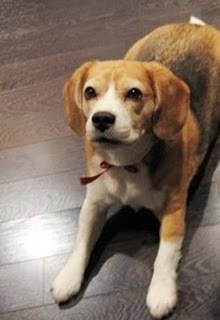 Check out this adorable dog who knows how to bark quieter on command! Too cute! ~ Jonesin' for puppy love! This is a special blog post from all three of us. We hope our Mummy and all Mums have a very special day. Mums are the best! They are always there to cuddle with us, make us yummy nom noms, care for us when we're sick and lub us even when we make mistakes. We lub Mums! Happy Mum's Day to all Mum's out there! Update Nov 15: We are submitting this post for the anipal photohunt theme #14 - MOM! Hey anipals! Check it out! 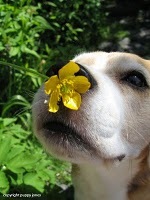 I'm a guest STAR on thejoyfulspringer blog! This blog is about "joy, about springing into a joy-filled life". 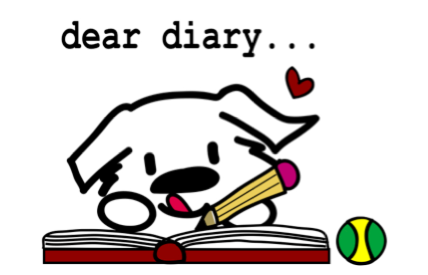 We lub to visit this blog because it makes us happy and gives mummy lots of smiles! I am so happy to be a guest STAR. 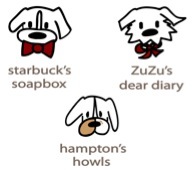 ZuZu and Hampton will be making their appearance on there too! Make sure you read their joyful springer story too! video: ZuZu not sharing her bone with me but that's ok...right. ZuZu: "MMMmmmm I'm really glad you don't want any of my bone. Its so good"
Starbuck: "Oh ya, I just love lying here beside you while you nom nom on it. I'm not trying to get you to feel sorry for me or anything. Its not like I have ulterior motives." Ok I may as well show off my then and now too. Here's me at 8 weeks!! 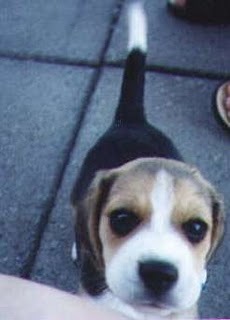 I was a small pup but small is good! Here's me at 6 years. Does my bow make me look fat? 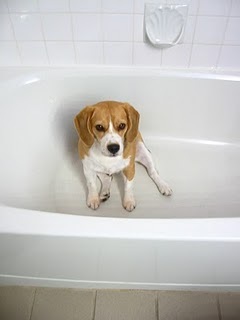 I love baths. Have you had yours today?